Arbah healing treatments cost: $50. Arbah is the “Plasma Current” which is a neutral energy with a code imprinted into it to encourage spiritual growth in the recipient. I have seen some wonderful results from this type of healing, especially for those who have tried to work through deeply imbedded behavioural patterns by other means but have not managed to make the change. The Arbah healing, in most cases, does depend on the willingness of the recipient to want change to occur. What does Arbah healing do? 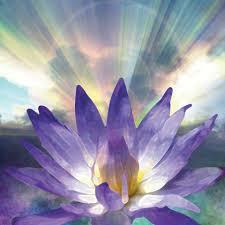 Arbah Healing allows you to establish within the Aura the codes for change. An Arbah Healing is used to instill certain energies into a person for overall good results. This is better than just infusing the energy into the Aura, as an infusion has been introduced artificially from outside sources and requires no effort from the recipient. This usually does not last because the recipient has contributed nothing to the process to produce lasting change. The energy that is introduced in the Arbah is the “Plasma Current.” This is a neutral energy with a code imprinted into it so as encourage spiritual growth in the recipient. This process will take up to two weeks to complete and is similar to an organ transplant for the aura. Over this two week period, the energy and the personality of the recipient will change. The Arbah energy encourages them to reconstruct new energy from within, having been given the pattern to copy from. Whether this happens depends on the will of the person towards self growth. An Arbah healing can only be performed once in a person’s life. Pellowah Level 1&2, 18/19th May 2019 Torquay. Reiki Level 1, 25/26th May 2019 Torquay.